Dee Margetts was a senator for one term between 1993 and 1999 during which she shared the balance of power in the Senate with other minor party and independent senators. The way she dealt with this situation was influenced heavily by her previous activities and experience as an environmental and peace activist. Diane Elizabeth (Dee) Margetts was born on 5 March 1955 in Fremantle, Western Australia, the daughter of Ernest Joseph and June Elaine Margetts. She attended John Curtin Senior High School in Fremantle where her achievements included the receipt of a Commonwealth Secondary Scholarship in 1971. In 1972 she was made a school prefect and awarded the school's Hestor Hoad Memorial Award for Citizenship. In 1973 Margetts began an arts degree at the University of Western Australia, majoring in both anthropology and English. Between 1974 and 1979 she worked as a passenger sales agent with Qantas Airways, but continued her arts course until 1978. In 1979 Margetts moved to Norwich, England, where in 1982 she completed a Bachelor of Arts with Honours in Development Studies at the University of East Anglia, specialising in the political economy of developing nations. Her honours thesis explored the hypothesis that multinational companies invested in developing countries for their own profit. She supported herself by working as a bar attendant and cafeteria cashier. On her return to Australia she studied at the University of Western Australia for a Diploma of Education, which was awarded in 1984. Margetts worked as a high school teacher with the Western Australian Department of Education from 1984 until 1988. While teaching at Bridgetown she became actively involved in the peace and environment movement. She was asked to stand at the 1984 Senate election by the Nuclear Disarmament Party, but decided against it because she felt she was not yet ready to participate at that level. In 1988 Margetts left teaching to become state coordinator and lobbyist for the People for Nuclear Disarmament (West Australia) group, and she remained in that position until 1991. Her political career began in 1989 when she stood unsuccessfully for the Legislative Assembly seat of Fremantle for the Alternative Coalition, a party with a platform based on social justice, Aboriginal rights, and environmental issues, and which encouraged women to participate in politics. In January 1990 the various green groups and parties in Western Australia merged to form The Greens (WA). Margetts was an unsuccessful candidate for the new party in March 1990 for the House of Representatives seat of Swan, won by the sitting ALP member Kim Beazley, and in 1991 for the Perth mayoral election. Between 1991 and 1993 she was a research masters student in economics at Murdoch University. 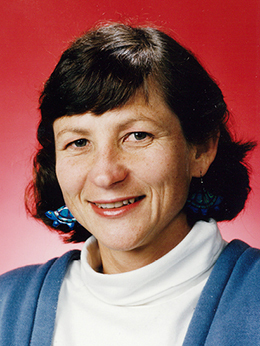 Margetts won preselection for The Greens (WA) to contest a Legislative Council seat at the 1993 WA state election, but withdrew when she was preselected as a candidate for the half-Senate election to be held on 13 March 1993. Elected to the Senate for a term beginning on 1 July 1993, she joined her Greens colleague Senator Christabel Chamarette, who had been appointed to the Senate to the place vacated by Senator Jo Vallentine in 1992. When Margetts entered the Senate she found herself in the challenging position of sharing the balance of power on contested legislation. The Keating Labor Government had won the 1993 federal election, but did not have a majority in the Senate. When the Opposition parties voted against the government in the Senate, nine votes from among the mix of minor parties and independents, comprising seven Australian Democrats, the two Greens (WA) senators and Independent Tasmanian Senator Brian Harradine were required to pass the government's bills. When the Democrats voted with the government and Harradine with the Opposition, the two Green (WA) senators voting together held the balance of power. The process of getting agreement with the minor parties was made more difficult for the government by the fact that the relationship between The Greens (WA) and the Democrats was not particularly friendly, as both parties were in competition for support from the same body of environmental voters. According to Margetts, Democrats leader Cheryl Kernot 'saw us as the enemy. When I first got to Canberra in 1993, I suggested we should have the Democrats around for morning coffee to discuss this thing called the balance of power. We wrote to them but the letter was ignored'. When Margetts took her place in the Senate, she commented: 'it's rather more complicated than I imagined, but I'm there to represent the people who elected me—not just do what I'm told by a party'. She wanted to make a 'virtue out of political naivety' because professional parties had 'forgotten the communities they represent' and she did not want 'to play the political games the major parties play'. Her approach to her role in the Senate was embedded in the four pillars of The Greens (WA) philosophy: 'ecological sustainability, peace and disarmament, social justice, and participatory democracy'. These principles were declared in her first speech to the Senate, when she stated that she would 'speak out, wherever possible, about the lunacy of a blind faith in the benefits of financial and economic deregulation'. In August 1993 Senator Christabel Chamarette moved a motion which specified a double deadline for the introduction of a bill into the Parliament in order for it to be considered by the Senate in that calendar year. The first specified a date by which the bill must be introduced in the Senate or received from the House (the substance of the 'Macklin motion', passed by the Senate in 1986), and the second specified an earlier date by which a bill first considered in the House of Representatives must be introduced into that House. Intended to provide advance notice to the Senate that would allow 'sufficient time for public scrutiny and proper consideration', the motion was interpreted by the government as an invasion of the rights of the House of Representatives and an obstruction to the government. Prime Minister Keating (who reputedly said that he would like to sack the Clerk of the Senate for his role in drafting the motion), accused the Greens of setting 'an anti-democratic precedent by seeking to manipulate the business of the House of Representatives' and threatened a double dissolution, where one of them would most likely be defeated in the subsequent election. Chamarette and Margetts were not intimidated by the threats, Margetts later recalling that Keating 'just couldn't believe it—that his very first threat didn't work'. The Greens combined with Coalition senators and Independent Senator Brian Harradine to pass the 'cut-off' motion, which became a permanent order of the Senate, with modification. The Treasurer presented a Budget in 1993 that delivered tax cuts to middle income earners, as promised by the ALP during the 1993 election campaign. These were to be offset largely by increases in sales taxes, including an increase in the sales tax on wine from twenty to thirty-one per cent. The Coalition indicated that its members would vote against all tax increases in the Senate, and both major parties looked for the support of the minor parties and Harradine. Outraged by the perceived inequity of the Budget, Margetts accused the government of no longer having 'a commitment to the lower income earners or welfare recipients in our society', and threatened to prevent the passage of the Budget bills in the Senate. Following negotiations that extended to the end of October, and saw multiple amendments to the bills, and bills referred to the Legal and Constitutional Affairs Committee to examine their constitutional legality, the government made concessions to the Greens that included increases in social security payments, deferral of proposed rises to HECS fees, and the promise of an inquiry into the wine industry. The drawn-out Budget negotiations evoked strong criticism of the two Greens (WA) senators, some viewing it as a political bargaining process involving support in return for concessions. Both senators were accused of opposing the increased wine tax because the Greens had substantial electoral support in the WA wine growing areas, but Margetts said they were opposing the measure because it was a bad tax. The 1993 Native Title Bill (the 'Mabo Bill') was another significant issue over which Margetts and Chamarette exercised the balance of power. With Coalition senators opposed to the bill, the government needed the votes of the Greens senators for the passage of the legislation. Seeing their role as a direct advocacy of Indigenous groups, the Greens entered into protracted negotiations with the government and extended debate in the Senate—at that time the longest debate on a single bill in Senate history. The Greens maintained that they would rather vote down the bill than accept what they saw as an erosion of the rights granted to Aborigines by the High Court, and negotiated with the Leader of the Government in the Senate, Gareth Evans, in all-night meetings until the night before the legislation was passed. Evans later described his experiences of dealing with the Greens as 'the sort of thing that makes grown men weep and jump off tall buildings'. The bill passed in the Senate on 22 December 1993 with twenty-five amendments moved by the Greens, and many others reflecting their influence. Margetts and Chamarette opposed the spending cuts in the 1995 budget, but could not influence the outcome because the Coalition voted with the government. This caused Margetts to comment that 'the only power will come from the community looking at what is proposed in the budget and making their opinions known very loudly if they feel the government is doing the wrong thing'. The balance of power dynamics changed after the 1996 federal election which was won by the Coalition. Chamarette was not re-elected, but the Greens maintained their representation of two in the Senate with the election of Tasmanian Greens Senator Bob Brown. After 1 July 1996 the votes of the Greens were less significant to the balance of power because the Howard Government needed only two votes from among the two Greens, seven Democrats and Independents Brian Harradine and former Labor Senator Mal Colston to pass its legislation. The Greens were, as Margetts put it, 'implacably opposed' to the Howard Government's Telstra (Dilution of Public Ownership) Bill 1996. However, they were not able to block the bill, which passed the Senate on 11 December 1996 with the support of Harradine and Colston. Margetts was placed at the top of the Greens all-female Western Australian Senate ticket for the 1998 federal election held on 3 October, but was defeated and left the Senate on 30 June 1999. Her time in the chamber was marked not only by the significance of her vote on contentious issues, but also by a degree of success in securing amendments to bills when she was able to get support from other parties, in the Parliament, or through the Senate committee system. It was her view that even when she did not secure majority support, her participation meant the 'voice of humanity was not totally silenced'; where she did not endorse the majority reports of committees in which she participated, she voiced her concerns through minority reports. Years later, she stated that community input had been integral to her rigorous pursuit of information during Senate committee hearings, including through estimates committees. Margetts had made 'social and environmental impacts and potential problems of globalization' one of her major themes during her Senate term, but was disappointed she had failed to make people understand these issues in the way she wanted. Margetts stood out for her unwavering adherence to the Greens' basic principle of participatory democracy. Speaking of parliamentary government, she said: 'We would much rather provide information and empower the community ... basically, we're trying to change the system' and she described the practice of picking winners and doing deals to achieve goals as 'old-style politics'. 'If you value the community voice', she said, 'you have to stand up to the bullies'. An example of her commitment to representation was the Wheat Marketing Legislation Amendment Bill 1998, concerning a restructure of the industry. She moved amendments to represent the views of the Western Australian Farmers' Federation which were contrary to the model supported by all other parties, but which she pursued in the interests of representing the views of a significant industry sector responsible for over sixty per cent of the export crop. While the amendments failed, Margetts saw her advocacy of them as consistent with her commitment to participatory democracy and with her role in representing the state of Western Australia. The Greens (WA) senators' political style left its mark on the ministers who had to negotiate with them. Margetts was labelled a 'fruit loop' for her suggestion that the Australian Government should call for a full environmental and social impact assessment of the proposed Uruguay Round of GATT. Her response was to place a packet of fruit loops cereal in her Senate office and to wear a pair of fruit loop earrings. Prime Minister Keating described his talks with the two Greens over the 1993 budget as the most 'disorienting' of his parliamentary career because there was no common ground between them. Their determination to consult widely was sometimes mocked; they were called 'chaos theorists' and 'bomb chuckers', and, more famously, described as 'the gumnut twins'. Others were more positive in their evaluation of Margetts. During valedictory speeches in June 1999, a number of senators acknowledged her capacity for hard work, attention to detail, and her frequent and feisty contributions to debate, covering not only Indigenous and environmental matters, but also foreign affairs and defence. Her passionate approach to issues was also admired. In her final speech to the Senate, Margetts made a point of praising the work of her staff and supporters in the community: 'Anything I have achieved is because of the people around me, the team and the network. The whole has always been much greater than the parts'. She was followed by Senator Margaret Reynolds, who said: 'I wish there were more politicians like you—totally independent, strong minded and compassionate in your advocacy'. At the conclusion of her Senate term, Margetts believed that she 'would need months of rest because I had been so exhausted'. But, within a few weeks, she re-enrolled at Murdoch University to undertake an MA thesis on the problems involved in setting up a national competition policy (NCP), which had been adopted in Australia in 1995. Her thesis was accepted in 2001 and, five years later, she commenced a PhD on the impact of the NCP, this time at the University of Western Australia. In the meantime Margetts had returned to politics, elected to the Western Australian Legislative Council for the Agricultural Region, covering the state's south-east rural areas. As one of five Greens members of the upper House, she again shared in the balance of power and was a consistent contributor to debates; however, she sometimes found it difficult to adjust to the different procedures of the council, being advised on one occasion that the council was 'not the Senate'. A member of the Standing Committee on Public Administration and Finance throughout her four-year term, she was defeated in 2005. Although out of Parliament, Margetts continued to participate in public debate on the NCP, publishing case studies on the effects of the NCP on the dairy industry in 2007, and making a public submission to an ACCC inquiry into grocery prices in 2008. In 2010 she provided a submission and gave evidence to an enquiry by the Senate economics committee into the problems of the dairy industry. Later that year at a conference held at Parliament House, Canberra, she spoke to the theme of 'the work of Senate committees from the perspective of a minor party'. Margetts argued that the NCP was 'one of the most significant changes in Australia's political economic history' and that committee processes and the quality of public discussion were compromised when, in 1995, both major parties agreed to push the NCP Reform Bill through Parliament. Transcript of an interview with Dee Margetts by Criena Fitzgerald, 17 Feb. 2000, J.S. Battye Library of West Australian History, State Library of Western Australia; Victoria Laurie, 'The power of two', The Bulletin (Syd. ), 20 July 1993, pp. 18–19; WAPD (LC), 23 May 2001, pp. 338b–349a. SMH (Spectrum), 13 Dec. 1997, pp. 1–6. Damien Murphy, 'Minorities rule', The Bulletin (Syd. ), 7 Sept. 1993, p. 29; AFR (Syd. ), 9 Sept. 1993, p. 5; Dee Margetts, 'The contribution of The Greens (WA) to the Australian Senate', Papers on Parliament, No. 34, Dec. 1999, pp. 145–50; CPD, 18 Aug. 1993, pp. 255–7. Harry Evans & Rosemary Laing (eds), Odgers' Australian Senate Practice, 13th ed., Department of the Senate, Canberra, 2012, p. 234; CPD, 18 Aug. 1993, p. 173; CPD (R), 19 Aug. 1993, pp. 319–23; Glenn Milne, 'Getting to know the Gumnut Senators', The Independent Monthly, May 1995, pp. 36–9; Media Release, Senators Dee Margetts & Christabel Chamarette, 10 Sept. 1993, 19 Oct. 1993; Liz Young, Minor Parties, Major Players: The Senate, the Minor Parties and the 1993 Budget, Department of the Parliamentary Library, Canberra, 1997; WA (Perth), 2 Oct. 1993, p. 6; Australian (Syd. ), 11 Sept. 1993, p. 19; CPD, 27 June 1996, p. 2458, 24 June 1999, pp. 6399–443; SMH (Spectrum), 13 Dec. 1997, pp. 1–6; Sunday Age (Melb. ), 28 Nov. 1993, p. 6. CT, 21 Dec. 1993, pp. 1–2; Jennifer Thompson, 'Green senators oppose budget cuts to social spending', Green Left Weekly, 26 April 1995. Kerry-Anne Walsh, 'Scrum down in the Senate', The Bulletin (Syd. ), 7 May 1996, p. 16; WAPD (LC), 23 May 2001, pp. 338b–349a. Milne, 'Getting to know the Gumnut Senators'; CPD, 8 July 1998, pp. 5263–7, 5276; Margetts, 'The contribution of The Greens (WA) to the Australian Senate'; CPD, 24 June 1999, p. 6430. WAPD (LC), 24 Oct. 2003, pp. 12645c–12654a; Dee Margetts & Andrew Bartlett, 'Work of Senate committees: minor party perspectives', Papers on Parliament, No. 54, Dec. 2010, pp. 65–78. This biography was first published in The Biographical Dictionary of the Australian Senate, Vol. 4, 1983-2002, Department of the Senate, Canberra, 2017, pp. 560-565.